Wouldn't it be easier if you could see all your accounts at once? This tool lets you do that — and more. If you're like most people, your money is spread across multiple accounts. Make things easier with our Seed Personal Finance Manager, and see all of your accounts at once. 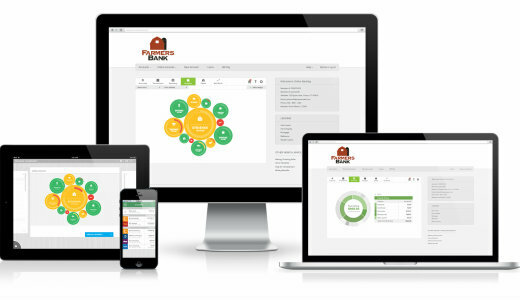 Watch Video: "Introducing Seed by Farmers Bank"
This panoramic view of your finances will make money management easier and more accurate. Use the special budgeting tool to help yourself pat down debt or reach long and short-term goals. Aggregate your various financial account balances and transactions into one place, and get a complete financial picture. Seed aggregates over 10,000 financial institutions and we add more every month. Account aggregation gathers basic financial information from all of your different financial institutions and organizes it into one place. Don't just track spending, know your spending! Get powerful insights on where, when, and how you spend. Seed automatically categorizes & tracks spending from all your accounts, so you can see where your money is really going. Then create relative budgets based off your actual spending, income, debts, and expenses. Seed automatically categorizes & tracks spending from all your accounts, so you can see where your money is really going. We are committed to confidentiality, integrity, and security. With that in mind we've integrated Seed into your online banking to insure that your sensitive information is protected with the highest of security standards. A better way to budget. Visualize and interact with your budgets in a more meaningful way – using bubbles! Since not all budgets are created equal, using circles or "bubbles" to represent budgets allows you to quickly identify budgets that need the most attention.